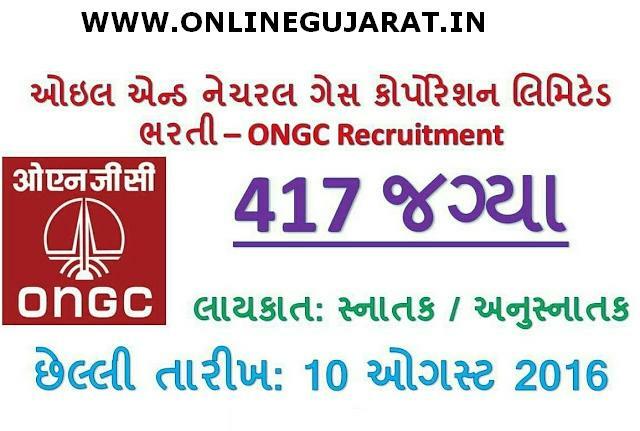 ONGC Recruitment For Various Post 2016. Oil and Natural Gas Corporation Limited ONGC Recruitment For Various Post 2016.This Post Related Full Details Given Below. Name of the posts:- Graduate Trainee in various discipline. The Aspirants must not have the age greater than 30 years to apply in the ONGC Graduate trainee vacancy. The selection of the candidates is done on the basis of GATE 2016 score & performance in the personal interview. Qualify competitors pay band should be Rs29900 to Rs 50500 per month with increment 3% every year.